We’re sitting in our pastor’s, Bob, back yard with him and his brother, Tom, sipping iced drinks and enjoying the respite the shade and flowers bring on this hot late August night. We came here expecting to meet Tom, swap stories about living abroad, and then continue on with life. But once we settle into the cool shade and the smell of roses, we know this won’t be an average conversation. Bob tells us to share our story, to start when we got married. Tom probes us with questions that force us to go deeper in our story, and eventually he takes notes. After three hours we finish and exhale. It feels good to debrief like this, to tell the whole story and process parts that we haven’t before. It’s a blessing. Tom then shares his notes with us. He points out how community, simplicity/frugality, living abroad, liturgical worship, and serving as a family came up at least five times each as we shared. These are our core values and we need to pay attention to them. He tells us the missions organization he works with has a branch, InnerCHANGE, that holds these same values and as he briefly describes it, it sounds like he’s talking about a ministry tailor made for us: it’s a Christian order among the poor that seeks to live out the good news of Jesus, both with words and deeds. There’s even locations in the UK. He suggests we check it out, we would be a great fit. As younger siblings do, with a sly smile and a sideways glance, he half apologizes to his brother for potentially stealing us away. We return home that night encouraged and slightly confused. We’ve been back in Oregon living in our small town, The Dalles, for over a year and a half and it seems like we’ll stay a good, long while. I’m doing my very best to be okay with this and to accept that, for right now, Europe is not where we’re supposed to be. And then, totally unlooked for, a seemingly perfect opportunity in Europe gets plopped in our laps. The next evening Ryan looks through the InnerCHANGE website and I try to not get too involved. If this is what we’re supposed to do he needs to see that for himself, I can’t push him towards it. He nods and makes a lot of affirmative ‘uh huh’ sounds. He reads me sections that resonate with him and the more he reads the more his excitement shows and the more excited I become. I pace around our small apartment and try to contain my elation by cleaning. I can tell Ryan is reading something he really connects with and when he finally looks up to me and gets ready to read it out loud I can’t take it anymore. I jump on the couch, cross my legs and face him and with the anticipation of a giddy, teenage girl I wait for whatever he has to say. He reads InnerCHANGE’s vision of community development and the passion in his voice is palpable. Evangelization and community development are inseparable partners. The primary reason that God calls us to seek the good of people and their communities through development is that this is His will for them in Christ Jesus (Mark 12:30-31). But development cannot replace our mandate to disciple the nations (Matthew 28:18-20). Rather than subverting or replacing evangelization, community development indispensably partners with it, touching people’s lives at many levels and allowing them to experience the love and goodness of God in concrete ways. God often uses community development to prepare people to receive the gospel who have not heard it, and to bring healing into the lives of people who have heard and believed. Yet in the same way that development without evangelization truncates the full purpose of God, so does evangelization without development (James 2:14-17). Rather than being compartmentalized or held apart, both tasks should be integral to our ministry. InnerCHANGE affirms ministry in both word and works. The word of the gospel interprets good works, and good works demonstrate the good news. I smile. Up until now he hasn’t found an organization that brings together a bottom-up approach to community development and the transformative power of Jesus – it is so thrilling to find one. A life of simplicity will mean for me: Voluntarily accepting a level of income and lifestyle which allows me (and my family) to live incarnationally with the poor to whom Christ has called me to minister. Through this lifestyle, I will seek to better discover the presence of Christ and what it means to be rich in faith and relationship with Him without relying on material possessions. I cried. This expresses the spiritual reasons behind my choice to live simply. And the possibility of living and working with people who share in this commitment? Unreal. “Is there anything wrong with this organization?” I ask Ryan. Over the next few weeks we Skype with the leaders of the London and Glasgow teams. We’re already leaning towards Glasgow because the work they do is more in line with our giftings and calling and it’s a smaller city. After the conversations we’re invited to come for a visit, the first step in joining InnerCHANGE. As we start to make plans it becomes clear that we won’t be able to take a long enough trip to spend adequate time with both the Glasgow and London teams so we decide to focus our trip on Glasgow and spend less time in London. So in early November Ryan and I board a plane for Scotland. It’s unbelieveable. Ryan visited Scotland as a young teen and his heart has been there ever since. I bought him the Braveheart DVD for his 18th birthday. Part of me has wanted to live in the UK since I was 14 and here we are, seriously looking into moving there. Visiting the InnerCHANGE Glasgow team feels like putting on the coziest sweater and drinking the perfect cup of tea. It feels like home. The people we meet, both InnerCHANGE members and other people in the community they partner with, have such passionate and loving hearts that their desire to see Jesus move and work in their neighborhood is evident. And it takes something divine to love their neighborhood. Possilpark, an area in northern Glasgow, is high poverty, high drug use, low life expectancy, low church presence. It was once home to an proud iron works foundry but its closure in the 1980s left a hole that was filled with heroine. Families have fallen apart and many depend on welfare to survive. With a population of over 10,000, the neighborhood has only three churches. Two of those don’t preach the Gospel and the only one that does is a church plant that the InnerCHANGE team supports. Possilpark is filled with darkness and InnerCHANGE is one of the ways God brings his light in. It’s a beautiful thing to witness. We then spend a few days in London where we talk with InnerCHANGE families and hear about what it’s like to raise kids in deprived neighborhoods. We spend a day with the director and at the end our trip we are encouraged and anxious to move forward. The only thing that gets me on the plane back to Oregon is the promise of holding my kids in my arms after being away for ten days. Once home we pray and ask God if this really is what he has for us. The InnerCHANGE leaders do the same and after three weeks we are officially invited to join the InnerCHANGE Glasgow team. It was like the early sun breaking through fog and rolling it away to reveal a beautiful sunrise. I just can’t believe this is actually happening. I mean, we’re moving to Scotland to do the work that God has called us to and equipped us for. We get to love our neighbors and partner with Jesus as he transforms their lives and walk through life with a team of people who share our calling. It still seems too good to be true but it’s happening. It’s actually happening. Next week we go to LA for our first round of training and then in the late fall we have an orientation and sometime after that we’ll go. Because this is a missions organization we’re going as missionaries, something we never really anticipated. But because of the work InnerCHANGE does and how they support their staff, we’re excited and willing to take on that role. We’re even willing to raise our own funds. So we’ll spend the summer, and however long after that, raising both financial and prayer support. Once we’re 100% financially supported we’ll apply for visas and go. We’ll also keep doing what we’ve done since we returned to Oregon and what we’ll do in Glasgow: love our neighbors and live life with people who bring the light of Jesus to their neighborhoods. We’re just anxious to do that vocationally in Scotland. And we hope to do it for a very, very long time. Even as long as this post is, it’s still a brief intro. I plan to write more about our journey of moving to Scotland as missionaries and what we’ll do once we’re there but if you do have questions, please ask. You can contact me at homeandgrace@gmail.com or via Facebook. We’re also working on putting together an email newsletter. Thanks for joining us on this journey! If you already feel God calling you to partner with us financially, awesome! Visit this link: https://give.crmleaders.org/staff and in the “Select CRM Staff Member” box select Ryan & Erin Long. We also greatly appreciate prayers. While I’ve been quiet here, I have been writing for the past two years. So to get you caught up I’m sharing what I’ve written all in one place. I’ve missed writing more often so I am so thankful for the opportunity to share other places while I waited for the right time to come back to my own blog. Okay, BIG thing first! I was published in a book. 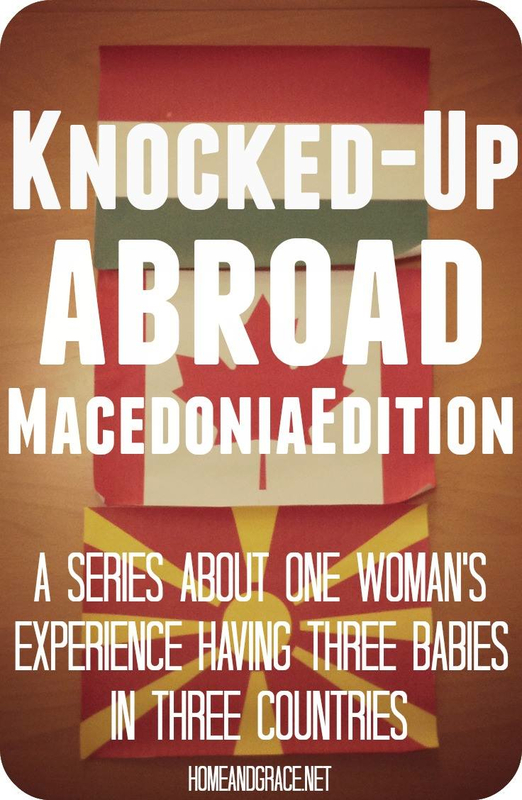 I wrote Edmund’s crazy birth journey for Knocked Up Abroad Again and it’s such a thrill to be a part of this collection. To read the story you have to buy the book (it’s available on Amazon). I would love it if you did. Earlier this week I got to share at my long-time friend Jessica’s blog, The Pineapple Philosophy. She has great insight, ideas and encouragement for meaningful entertainment and connecting with others. 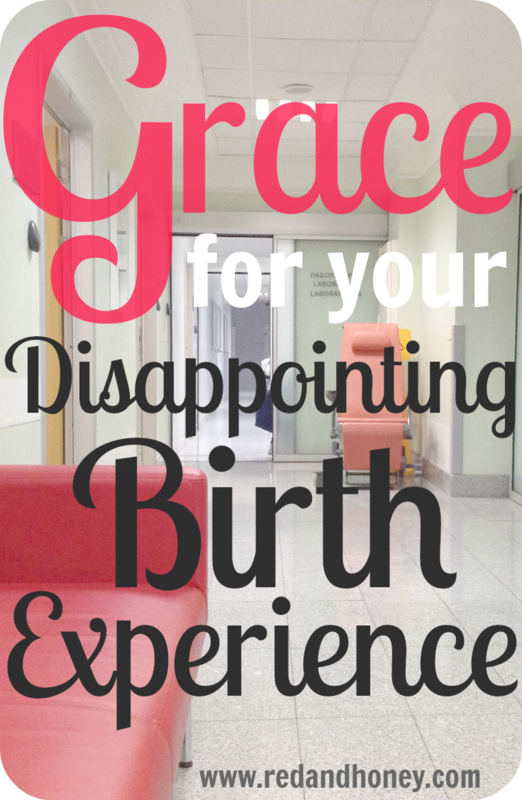 You really need to check her out – you’ll be blessed, just like I’ve been. I’ve been busy over at Red+Honey, which I’ve been contributing to for over THREE YEARS! I can’t believe it. It’s kept my foot in the writing door, otherwise I would have completely given up on ever writing for myself again. And for that I’m thankful. Plus I’ve connected with some pretty amazing women through it. That’s the best part of writing. DIY Clay Toothpaste: New and Improved Version! I was a very unwilling convert to minimalism. It wasn’t trendy to be minimalist when I began my journey and blogs were just starting to talk about it. The KonMari method was years away from reaching American shores. Tiny houses weren’t a thing. So I learned minimalism on my own and in a rather unconventional sort of way. And only because I had to. Categories: More with Less | Permalink.